Today we have with us Urban Fantasy author Kelly Gay. 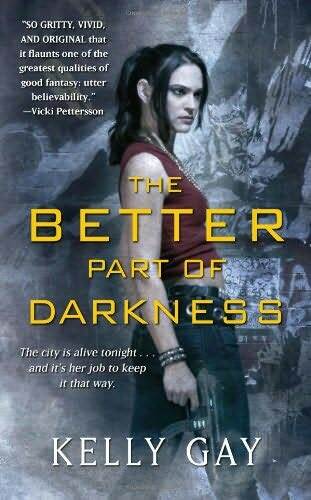 Kelly has one book out already titled The Better Part of Darkness, and the second book in the series called The Darkest Edge of Dawn will be released today. Kelly, thanks so much for taking time out of your hectic schedule to talk to us. Can you tell us a little bit about your Charlie Madigan series? Charlie lives in a world where the existence of mythological beings (many of whom inspired our myths of angels and demons, gods and monsters) was proven true over a decade earlier, and since that time, these beings, or off-worlders as they’re called, have integrated into our society. Charlie is a single mom and a law enforcement officer who polices the off-world population in and around Underground Atlanta with her partner, a male siren named Hank. She has a full life – a pre-teen daughter wanting independence, an ex-husband who wants to reconcile, and a job that pushes her to her limits. What made you decide to write urban fantasy? I love all things fantasy, but I’m drawn most to the combination of fantasy mingled with modern life. This, to me, is the best of both worlds and urban fantasy really encompasses that aspect. My other writing love is developing new worlds, beings, and traits, and writing about strong women. Urban fantasy is a natural fit for me. Well, anything paranormal is a natural fit. You probably get this question a lot, but I always enjoy hearing what different authors have to say. What do you think is your favorite part about writing? Your least favorite? I love creating things no one has before. Taking old myths and turning them into something new. Putting my spin on things and giving life to new beings, new powers, new rules, new worlds… I really feel like an artist during those times when I mold, shape, and create something from a blank canvas. Love it. My least favorite thing is the immobility, sitting for long periods, and having to be self disciplined. I’m my own boss (which is awesome), but some days it’s hard to fight outside distractions. My least favorite thing in the actual writing process is probably the rough draft. I’m so impatient. I just want to get it out of the way so I can go back and start playing with the story and digging deeper into things. I've heard it takes an average of five years to go from starting to write to getting published. How long did it take you? If you count from the time I started writing with career intentions, it’d be about fifteen years. I spent ten years writing screenplays, plays, and a ton of unfinished novels. But in 2003, I decided to switch gears from screenwriting, actually finish a book for once, and put all my focus on the fiction world. So five years after this decision, and six manuscripts later, I finally sold. If we were to take a peek at your bookshelves, who would we find? *glancing to my left* Let’s see. THE MONSTRUMOLOGUST by Rick Yancey, BENEATH THE SKIN by Adrian Phoenix, BETRAYALS by Lili St. Crow, THE DEAD-TOSSED WAVES by Carrie Ryan, the entire Kate Daniels series by Ilona Andrews, every Kresley Cole, Karen Marie Moning, Sherrilyn Kenyon, and Vicki Pettersson book ever published, and so many more … There are about 200 books on this case next to me, and I have several bookcases around the house, and boxes full of books in the attic. One of these days, I’ll get that dream house with the library, LOL. In your spare time (if you're lucky enough to have any), what would we catch you doing? Reading. Unfortunately, I don’t get in as much reading time as I did before I sold. I spend so much time (daily), reading, revising, looking at galleys, copy edits, writing posts, etc., that when I do have free time and want to read, I don’t because my eyes hurt and I need a break. But I like to regenerate by hanging out with my family, and being outside. I love to go to the park, sit by the water, or play in the dirt and grow things, and watch my kids splash around in the kiddie pool. Then, I’m usually good to go for some reading later on in the evening. Do you have any plans to write more in the series? Again, I'd like to thank you for spending some time with us and answering our questions. Annette and I both wish you the best of luck with your books. Thank you so much! It’s a pleasure to be here, and congrats on creating such a wonderful site! And now for the announcement! 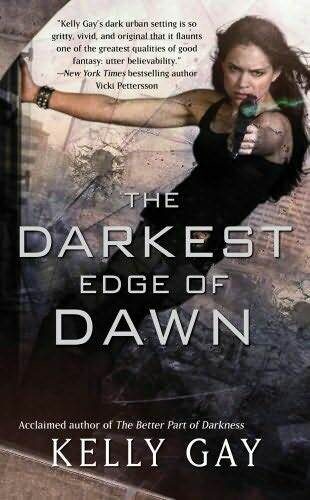 (drumroll, please) Kelly will be giving away an autographed copy of Darkest Edge of Dawn, along with some swag (bookmarks, cover flat, postcard) for one lucky person who comments on this interview. Contest winner will be drawn on Sunday, September 5th and we'll post the winner right here on the site. Kelly is an amazingly talented woman. I can't wait to read her next book! Loved the first book and I have been waiting for this book. Time to hit the store and see if they have it yet. BPOD was so good. I can't wait to read this book! I read the first book, thinking about reading it again. Kelly is a new to me author. Her books sound like something I would love to read. I read the first one and really enjoyed it. Looking forward to reading the second. 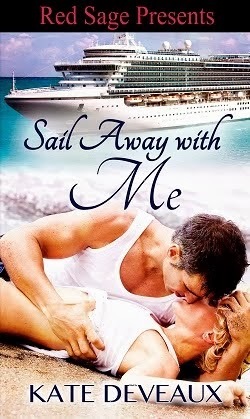 Loved the first book just bought the 2nd ebook because I so thoroughly enjoyed the first. I'm looking forward to reading it. I can't wait!! Loved the first book, so I KNOW the second will be even better! Woot! I have Better Part of Darkness but haven't had a chance to read it yet. I'm going to have to put it at the top of my TBR pile so I can get ready for The Darkest Edge of Dawn. Loved BPOD. Read it again to prep for DEOD which is sitting next to me. I'm saving it to savor when the house is quiet. I have everything Lili St. Crow has written, both YA and adult. She's amazing, and one of my favorites, and it's so cool that you have Betrayal on your bookshelf. just got The Darkest Edge of Dawn and about to sequester myself until I finish it. I would be a fool not to attempt to get a signed copy, this series is going to be many books in length. GoodBye Anita Blake with way to much erotica, Hello Charlie & Hank, thank you for making life interesting. I actually reading The Better Part of Darkness right now and I'm finding it a lot more interesting than I would have thought at first. I think Hank is really neat, I mean, a male siren? When does that ever happen?! I'm really looking forward to seeing what other "spins" she's placed on myths and legends. Can't wait to get my hands on the sequel! I loved the first book and can't wait to read the second one. Brill interview. Urban Fantasy's one of my favourite things to read because you can get so wrapped up in the story because it's got that real life connection to you, as a person in the real world, and then that fantasy mixed in there so you can think about the action-packed adventures occuring in reality. Makes things so much more interesting! Looking forward to reading the book. Charlie sounds excellent. The Better Part Of Darkness was recommended from another web site and I am glad I gave the book a chance. I started reading it and I didn't want to put it down. The action is hot and the plotline tight. It was one heck of a rollercoaster ride from beginning to end. I'd love to win this book! It sounds so awesome! Just picked up DEOD and can tell already that it will be an all nighter or at least until I finish reading it! Excellent as always! Since I live in a small town....by Books-A-Million just got my copy in!!!! !